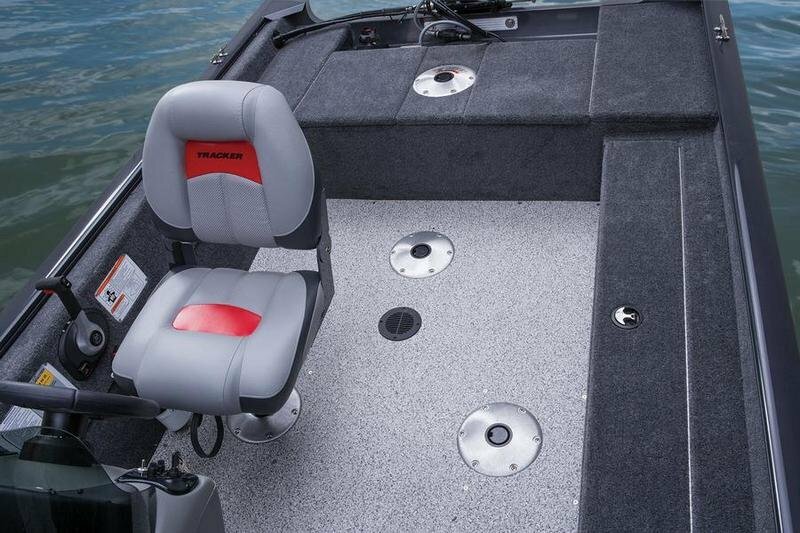 It’s nimble with a lot of fishing features. 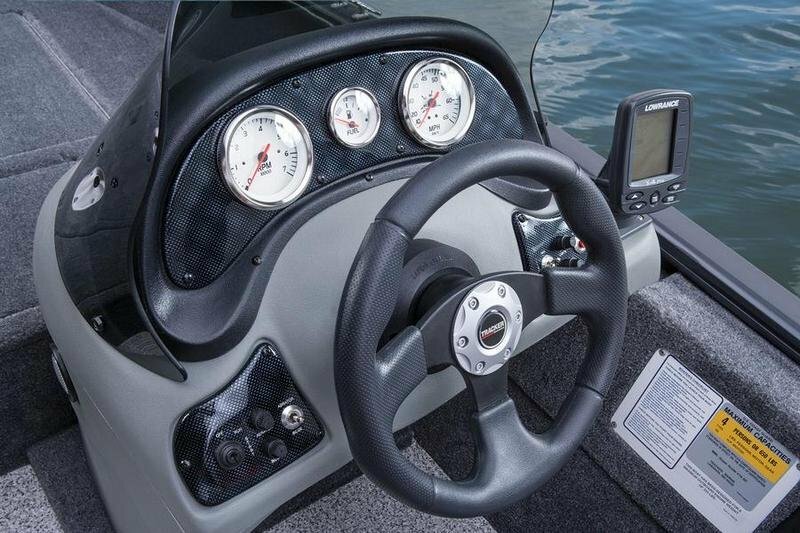 The Super Guide™ V-16 SC is one of the industry’s best boating values. 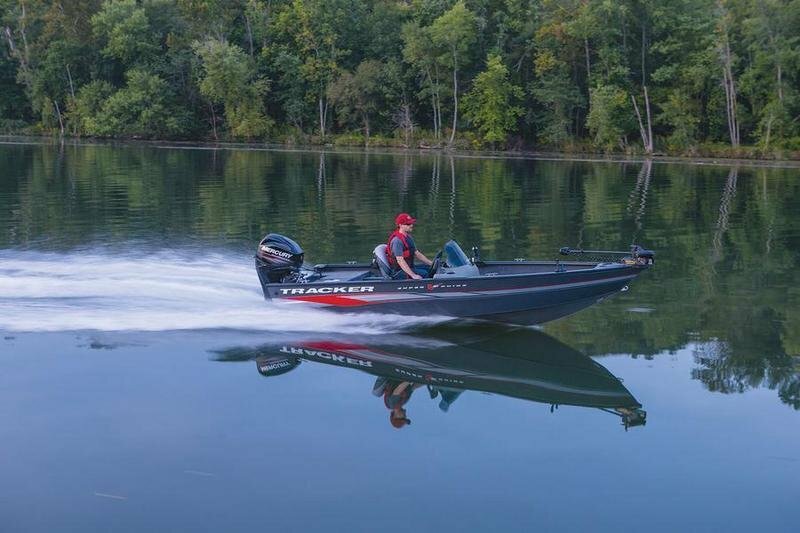 In addition to the chop-taming Deep V hull design, it sports a wide 76” (1.93 m) beam that translates into huge amounts of interior fishing space. 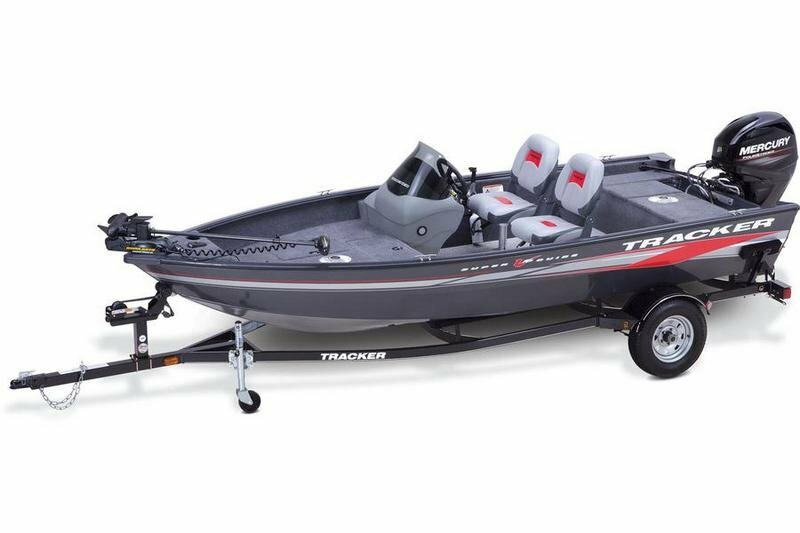 It also means we are able to pack a slew of features inside to meet all your fishing needs. 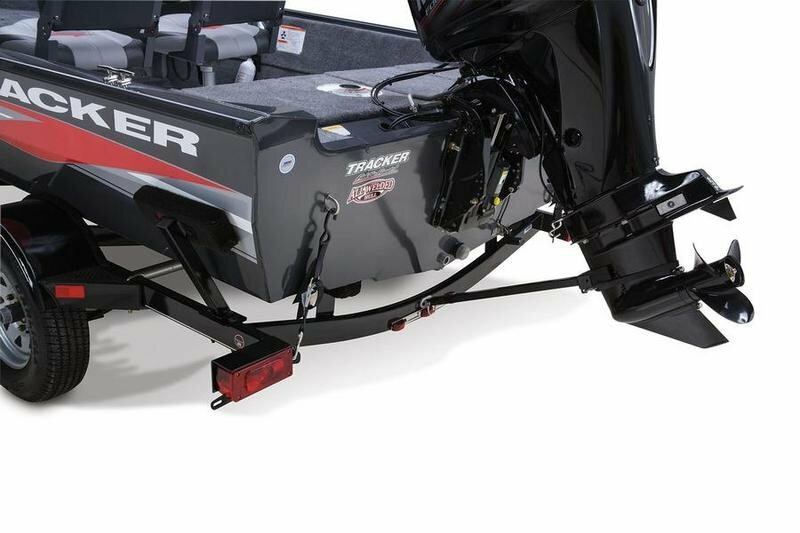 Continue reading for more information on the TRACKER Super Guide V-16 SC. 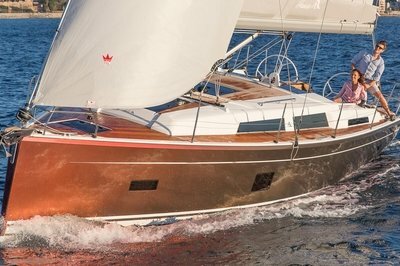 Like raised fore and aft casting decks. Two movable fishing chairs with multiple seat locations throughout. 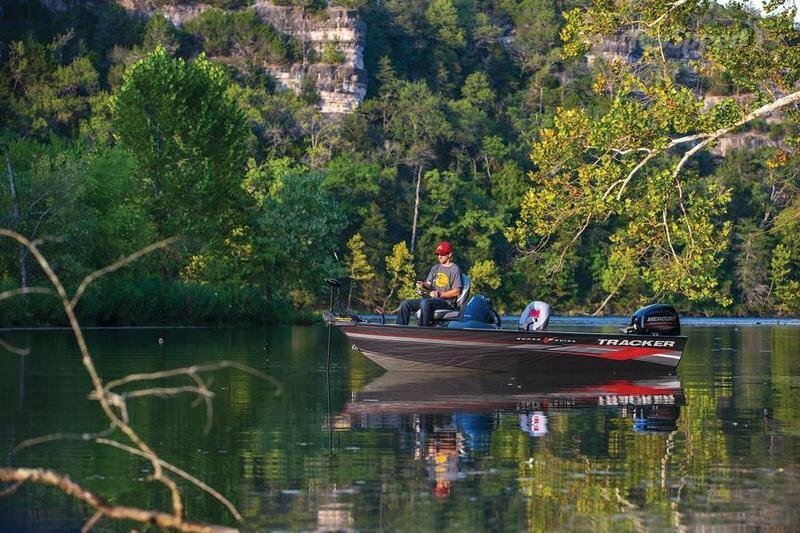 Lowrance® X-4 Pro fishfinder. 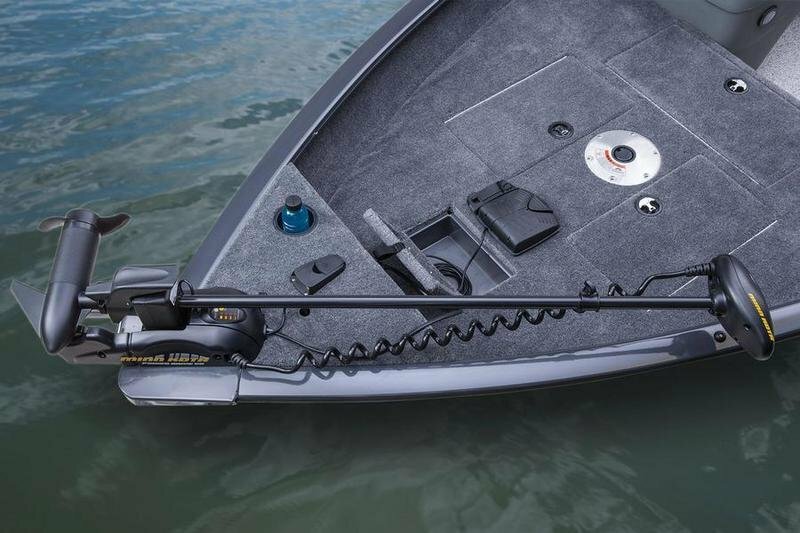 Minn Kota® PowerDrive™ 12-volt trolling motor with NEW foot pedal storage. 7’ 6” (2.29 m) rod storage locker. 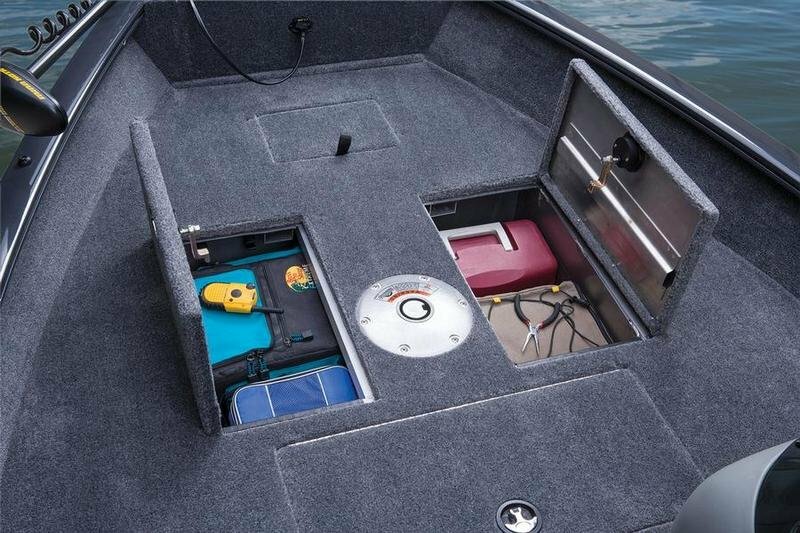 And it still finds room to pack in a 15-gallon (56.78 L) aerated bow livewell with a removable bait bucket. And it’s all wrapped in our NEW Diamond Coat™ finish.